This post is a long time coming. I worked for a couple of hours on the bubbles shot and when I went to save it, Photoshop crashed. Discouraged, I put off processing the photo again until I had some real time and inclination once again. 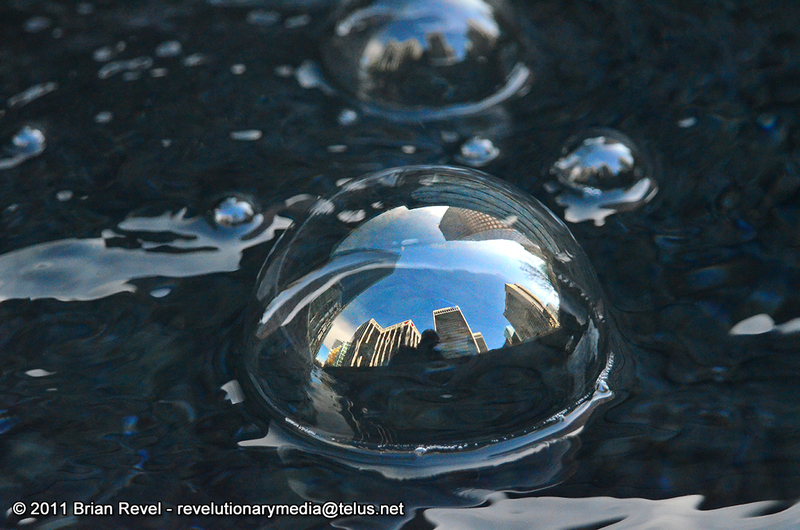 Bentall Bubbles is a shot taken in the afternoon with the sun beaming down on the office towers across the street reflecting off the bubbles floating in a waterfall element on Burrard Street in downtown Vancouver. In mid April, my Dad and I went for a short road trip to the Northwest Kootenays. There are lots of hot springs to visit and we took full advantage of the soothing waters. I managed to get a few good shots in as well. 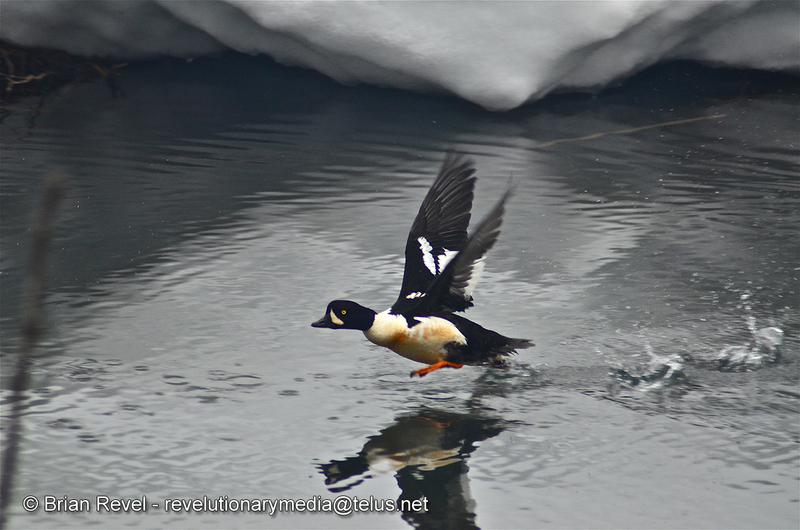 Take-Off is one in a series of shots of a Barrow’s Goldeneye Duck taking off from a beaver pond at the summit of the pass between New Denver and Kaslo. Silver Creek Greens is one in a series that was taken from just up the road from my Dad’s house looking right across downtown Salmon Arm and onto the expanse of rich and fertile farmland that lays between Mount Ida to the left and the Fly Hills to the right. Snow was falling at higher altitudes making the sunlight on the verdant fields that much more brilliant. 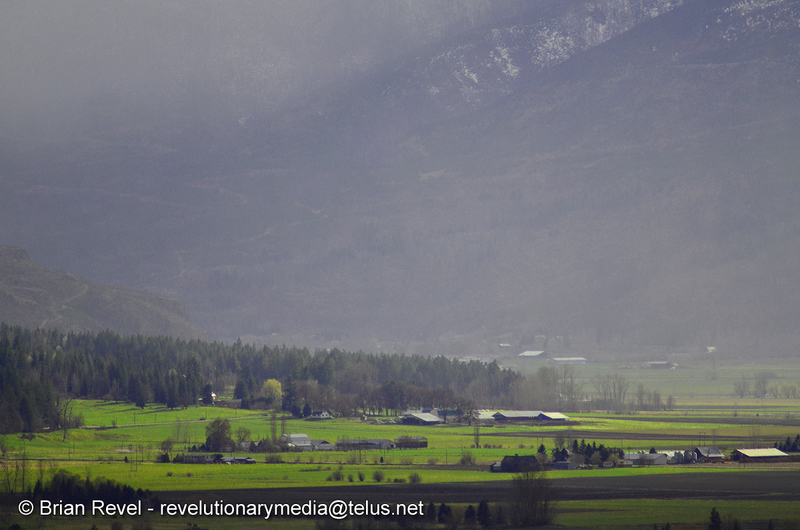 It’s a view I have seen only a few times- even though I lived in Salmon Arm for seventeen years.